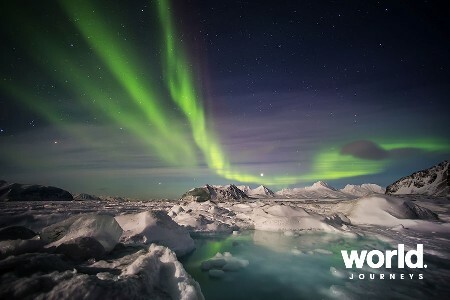 Greenland is Europe's final frontier: its grandeur is unquestionable and yet unknown to most travelers. 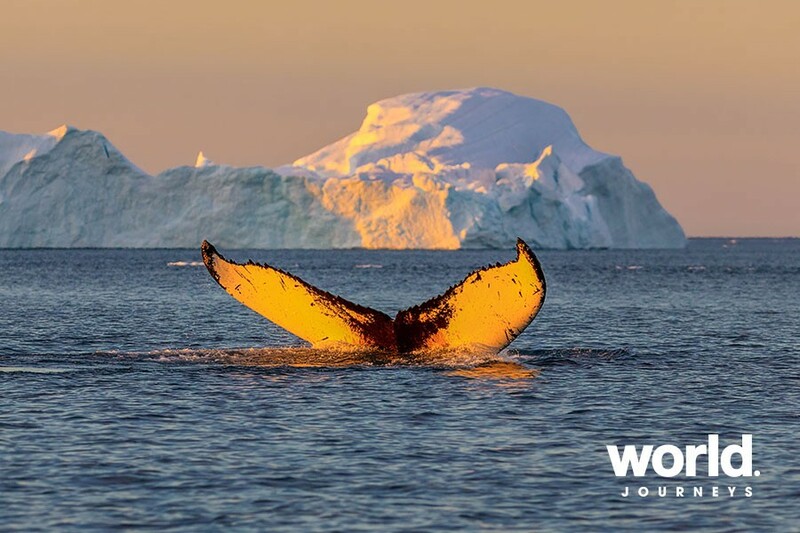 Sailing along Greenland's coast is the best way to sample the rich history and diversity of this beautiful and dramatic country and to encounter an ancient culture surviving in a modern world. Ocean Adventurer formerly known as the Sea Adventurer The Ocean Adventurer is a comfortable vessel with spacious cabins, which all have private bathroom facilities and exterior views. 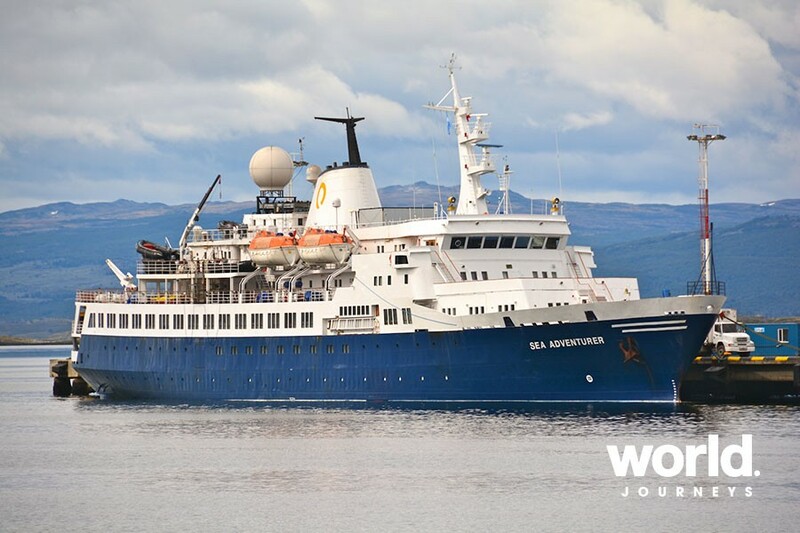 Designed to carry travelers in comfort to the most remote corners of the world, Ocean Adventurer was built in 1976, and will undergo extensive upgrades in 2017. 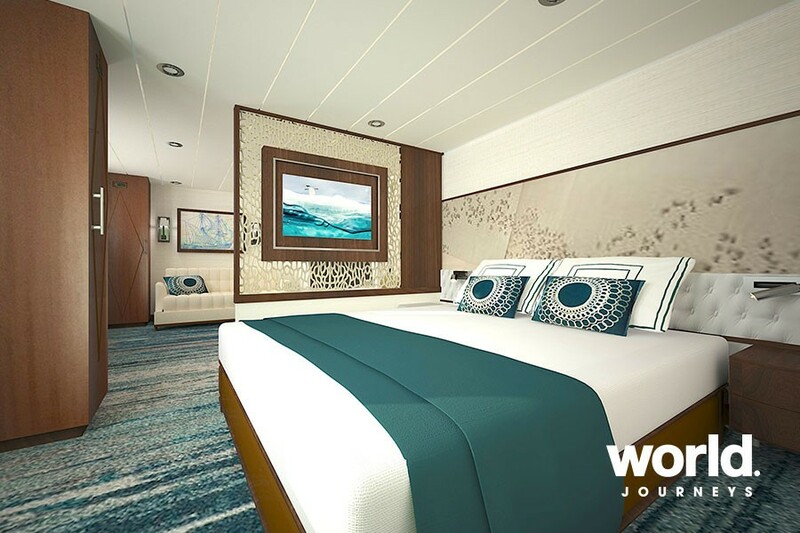 This multi-million dollar investment includes renovations to the interior of the ship, significant technical upgrades, and the addition of a new cabin category, the Owner's Suites. 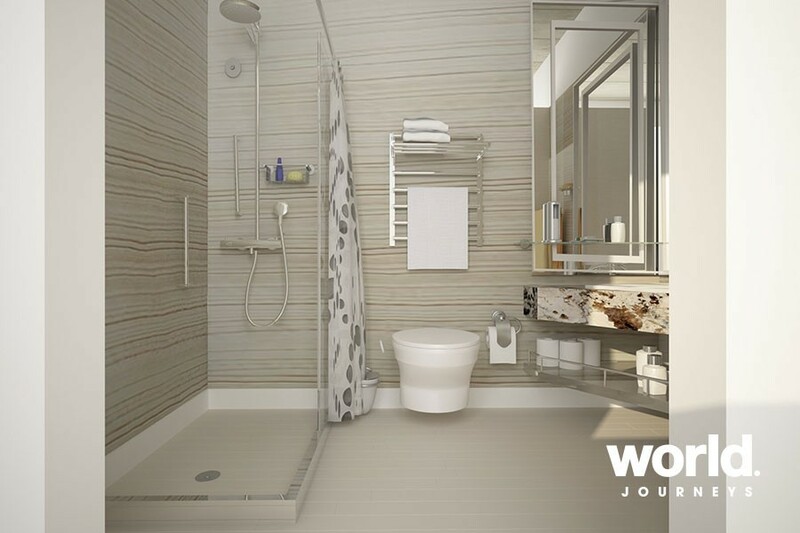 The refurbishment will give the ship new bathrooms in every cabin, and upgrades to the Lounge, Dining Room, gym, and suites. Technical enhancements - including two new engines, generators, gear boxes, drive systems, and re-bladed propellers - will result in increased fuel efficiency, and a minimized carbon footprint. Day 1: Arrive in Reykjavik, Iceland Arrive in the Icelandic capital this morning and make your way to your included hotel. You will have the day to explore the city on your own. In the evening, join us at your hotel for a welcome briefing. Day 2: Embarkation Day in Akureyri You'll fly from Reykjavik to Akureyri to board your vessel and begin your expedition. Get ready for a great adventure ahead! 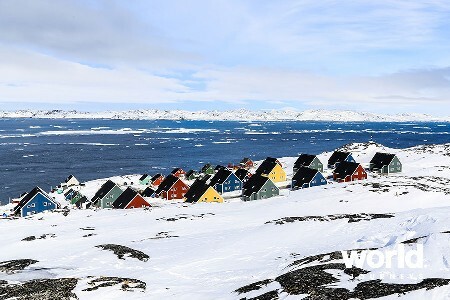 Day 3 and 4 East Greenland Experience a true arctic ghost town when we visit the abandoned settlement of Skjoldungen, where inhabitants were forced to move to larger, more accessible towns in 1961. The narrow part of Skjoldungen Fjord is an ideal place to explore by Zodiac. Those who opt for our kayaking program may have an opportunity to get out on the water to glide past icebergs and capture some great photographs. 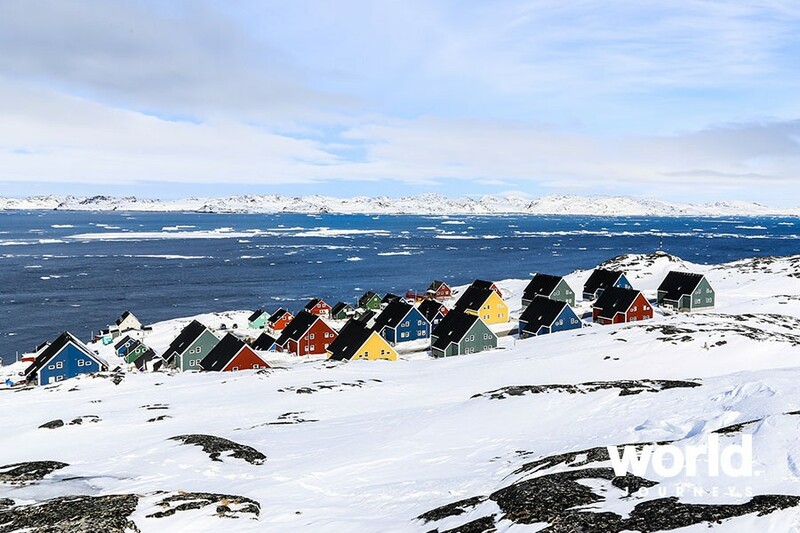 Day 5 to 7: South Greenland Climbers and mountaineers around the world know Tasermiut Fjord, one of the world's most prolific big-wall playgrounds. This part of Greenland particularly dramatic, being nicknamed the Arctic Patagonia. A bit of a history lesson will be provided here as you learn about the settlements of the area, founded by Erik the Red. As we round Cape Farewell, the southernmost point of Greenland, we will call in at the natural hot springs found in the Uunartoq area, soak in the geothermal waters and watch the icebergs pass by. 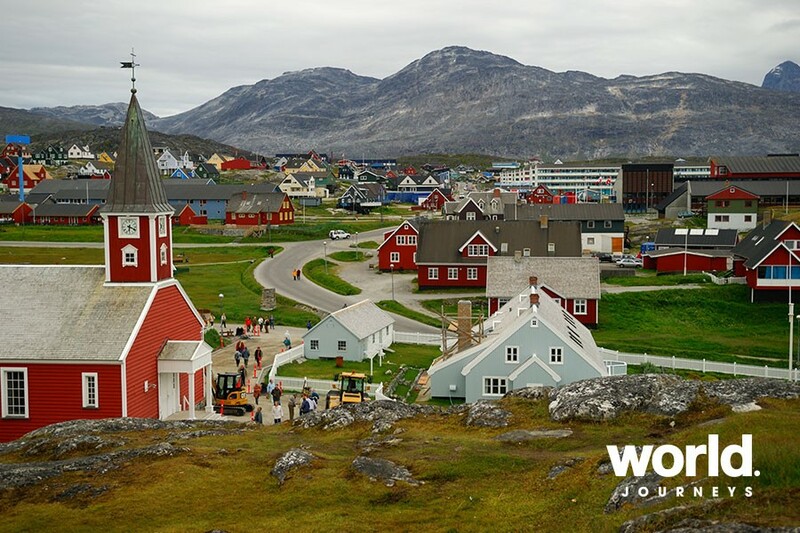 Day 8 to 13: Greenland's West Coast Heading north, you'll stop at some of the quaint villages that dot the islands and fjords of Greenland's western side. You'll find friendly faces, local artisans and colorful houses on the wildflower-covered tundra. 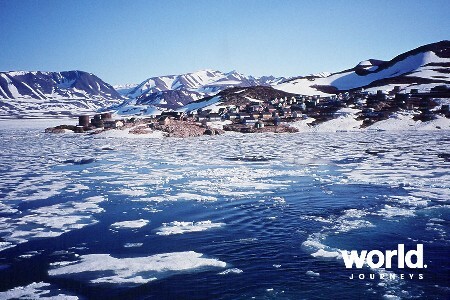 You'll visit Nuuk, the capital of Greenland and home to fewer than 16,000 people. You'll have time to wander the streets and see the Hans Egede Church and Hans Egede statue near the waterfront, both named after the missionary who founded the settlement. You'll also visit the museum to see the famous Greenlandic mummies. The nearby town of Sisimiut is an interesting place to visit, as there are more dogsleds here than humans. Evighedsfjorden, which means "Fjord of Eternity," is a favored place for us to put the Zodiacs in the water for some more in-depth exploration. This long, deep fjord has very few settlements, so you'll come to appreciate nature in its rawest form. There will be an opportunity for hiking among the towering mountains, and you'll have plenty of chances to photograph the colorful tundra and dramatic landscapes. The west coast of Greenland provides many dramatic, mountainous landscapes where fjords open into the sea. 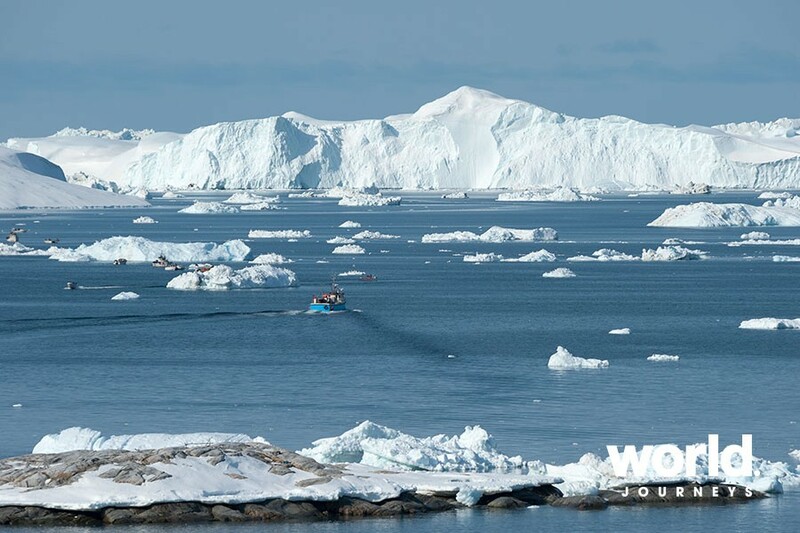 You will explore the Ilulissat Icefjord, home to one of the world's fastest-moving glaciers. Moving approximately 19 meters per day, the glacier provides you with a great opportunity to photograph ice crashing into the sea. Continuing along, the Amerloq Fjord offers a chance for you to stretch your legs by exploring abandoned villages and ancient Thule sites. Day 14: Disembarkation in Kangerlussuaq Today, you'll board your direct charter flight back to Reykjavik, Iceland. Upon arrival in Reykjavik, we will transfer you to your hotel. Day 15: Depart Reykjavik After breakfast, you can make your way home at your leisure or spend some more time in Reykjavik. Important Reminder Embracing the unexpected is part of the legacy - and excitement - of expedition travel. When traveling in extremely remote regions, your expedition staff must allow the sea, the ice and the weather to guide route and itinerary details. This itinerary is a tentative outline of what you'll experience on this voyage; please be aware that no specific itinerary can be guaranteed. • Baggage allowance on charter flight is 15 kg checked and 5kg carry-on • Other categories of cabin available on request • Single cabin prices available on request. Please note that if you are a solo traveller taking advantage of the 'Request Share' program, not all cabins apply. • Please contact World Journeys for the updated US exchange rate.